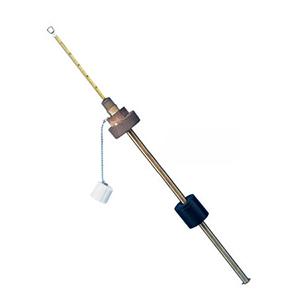 The LV-110 Series Drum Level Indicators are compact, self contained liquid level indicators designed for use in 55 gallon drums. A magnet equipped float senses level and readout is obtained by removing the protective cap on the unit and reading the indicator measuring tape. LV-110 units can be used in either horizontal or vertical drums.